Everyone's favorite chapstick connoisseur, Nolan Hedstrom, shares his favorite games of 2015 today! 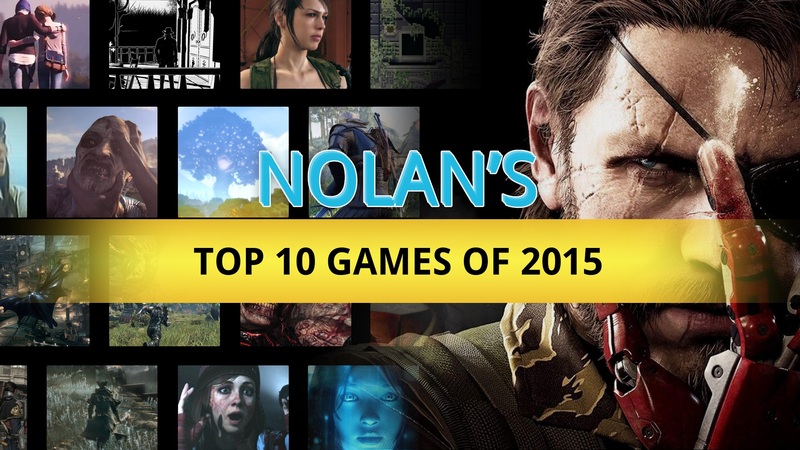 If it wasn't clear yet how great a year 2015 was for gaming, there shouldn't be any doubt now. Nolan's list fills in some gaps by honoring a few games that have yet to be mentioned on any other lists! Tune in tomorrow at 10:00 AM (CST) for Nick's list! I don't know who this Nolan guy is but he seems pretty awesome! I saw number 1 coming. Your list is pretty interesting. Thank you. Nice and interesting list, Nolan. I was surprised by some of your choices and while I'm not the biggest fan of Telltale or Borderlands, seeing Tales from the Borderlands getting lots of praise from you and others on the site makes me want to pick it up. Before starting this video I predicted your Number 5, Number 3 and Number 1, and I was happy to see them that high on your list. Did not see your number 2 coming however. A great top 10.